Welcome to Anna Maria Life real estate. Let us help you find your place in paradise. We are passionate about our Anna Maria Island and will love to show you around. We discuss homes for sales, good real estate deals, and many other Anna Maria Island related items. Please read and enjoy. Feel free to leave any comments or questions you may have. It's the beginning of another island summer! A time of sweltering heat, sandy feet and a lot to look forward to! My Son is looking forward to fun with his friends at The Center and Surf Camp, while I'm looking forward to a few adventures with family and friends! We'll spend some time on the water, and maybe even reel in a big fish! I love that at the end of some of the busiest summer workdays, I can look forward to a late sunset dinner with friends, and for a few hours I'll feel like i'm on vacation! 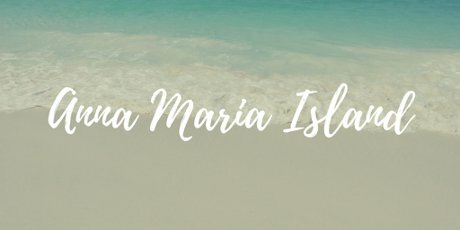 I hope you've got some Anna Maria Island Plans this Summer! Whether it's your getaway or the place you stay, we all live and love this Anna Maria Summer Life! A trip to Egmont Key should be on everybody's lifelong bucket list! And it's one of my favorite local adventures! Egmont key is only accessible by boat. It was home to Fort Dade, a military fort built during the Spanish American War, that remained active through the Civil War. Part of the ruins have fallen into the sea. You can snorkel among the sunken ruins, visit the lighthouse or just explore the tiny island which is a nature sanctuary that is home countless creatures. Don't miss the chance to see the key's population of gofer tortoises, they are adorable! Fishing is a big deal around Anna Maria Island and my boys love it! My friends at Egmont key adventures have inshore, nearshore and offshore fishing adventures available! Visit Egmont Key Adventures! Click Here! Tennis in the heart of paradise! I must keep my skills sharp just in case Roger Federer turns up at my door to request a match! The Center has three surfaced courts. Day passes are available at the Front Desk as well as short- and long-term specials! Play Tennis At The Center! Click Here! The fresh taste of Summer! I adore the Waterfront Restaurant! This local family owned restaurant features the best cuisine on the Island! It's safe to say I'll have more than a few dinners with friends here this summer! Visit The Waterfront Restaurant! Click Here! 5 Bedroom, 3 Bathrooms, 2,670 Sq. Ft. Desirable north end location near the beautiful open beaches of Anna Maria and Bean Point! This ground level home on a large canal front lot has a beautiful outdoor pool area, 5 bedrooms, and an open floor plan with everything updated throughout! Beautiful wood floors, three bathrooms, split floorplan, and all completely gutted, remodeled, and updated by Dan Gagne, local builder. Every Mom I know plays at least 18 different roles every day of their Mom lives. It’s no wonder our significant others make comments like, “Why can’t you ever find your keys?” Or, “You should focus on doing one thing at a time. ” Well, let me tell you why we can’t find our keys and why if we only focused on one thing at a time, why everyone would be wearing dirty clothes and no one would eat! LOL. From the moment my eyes open, it’s game on. The walk from the bedroom to the kitchen has at least 4 stops before I can even get to my coffee mug. Grabbing misc. clothes, tossing them in for the first load of the day, snagging cups and glasses that need to get to the dishwasher, throwing cozy blankets from the couch into the basket, and pushing in chairs at the table that seem to NEVER get pushed in. I toss the kid his morning snack and water while pulling the cream from the fridge for my coffee. It’s on to preparing to make sure the next 15 hours happen without a hitch. School lunch, our lunch, practice spelling words, get some reading in, prep for dinner and this whole time making breakfast for everyone. Oh and the spelling words and reading is for the kid. LOL. Of course, I could use some practice as well. My sophomore English teacher told me that I would never amount to anything if I didn’t learn to spell. She was wrong by the way. Once I have corralled the kid into focusing on getting ready for school, the bed is made, I am a bit presentable and the backpack is on; we are out the door and in the car. Off to school. Back home, now it’s the dogs turn and he knows it. He’s going crazy and the phone is ringing and I’m out the door for the walk. It’s my 15-20 minutes to make the initial calls of the day. Then off to work and emails, checking in on summer camp schedules and, DAMN IT, I forgot to send flat Stanley AGAIN!!!! Who’s got the kid after school? Oh, and he is playing baseball with Daddy and I need to play first base at 4:30pm SHARP says the text! Thank God, dinner was planned this morning at 6am while my eyes were only half open. I’m exhausted writing this. I only have ONE child. You mom’s who have more… I TRULY don’t know how you do it. You are my hero’s. AND…you mom’s who do it ALL on your own??? You are super hero’s! I know we live in a world now where many men have taken on this role or it’s very much a shared distribution of hats to wear. I am not trying to leave you men out. There are many men, including my husband, that do so much throughout this process. I just know that mother’s day is coming up and it’s ALL ABOUT THE MOM’s right now! 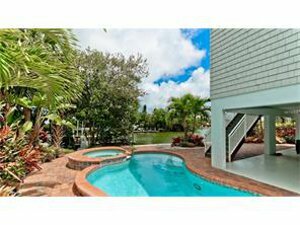 Bright and beautiful elevated 3 bedroom home centrally located in Holmes Beach. Close to great shopping, restaurants, AND the most important spot...the BEACH! Colorful decor and turnkey furnishing and already in a successful rental program. Very private heated pool and screened lanai off the pool for relaxing and dining. Open balcony upstairs for for coffee in the morning and games at night! Cathedral ceilings and open floor plan. Come live the island life style at an affordable price! Another Home Sold by Billi Gartman, Realtor of Anna Maria Life Real Estate! After many years of owning an investment home on Anna Maria Island, it was time was to make the move to the island permanent! 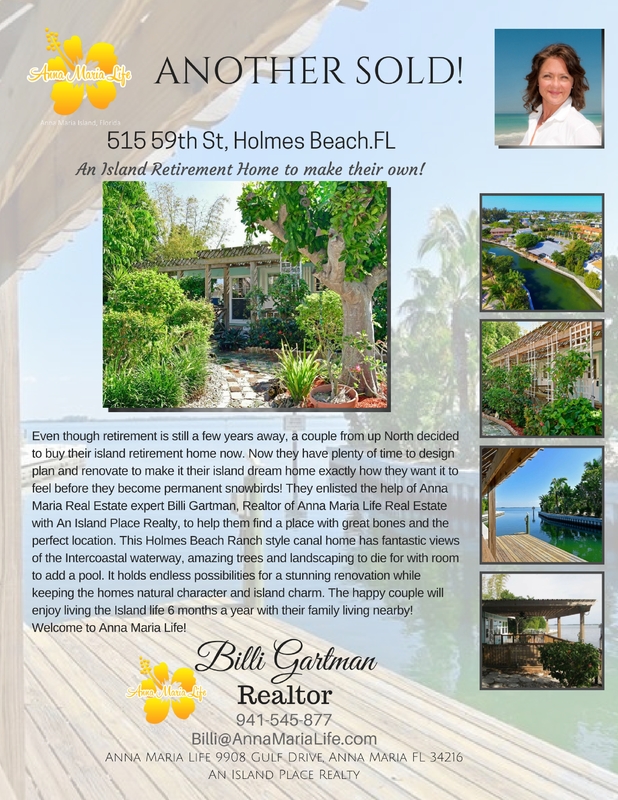 Billi Gartman, Realtor of Anna Maria Life Real Estate and with her broker at An Island Place Realty, sold their investment home in record time, and led them straight to the retirement home they had always dreamed they would find. This 5 bedroom, 5 Bathroom home with a brand new pool in Bradenton Beach is just a short walk to the beach and the bay! It is beautifully appointed with 3 of the bedrooms, 3 of the bathrooms and a full kitchen on the ground floor. Perfect for entertaining. Their guests will be able to have their own space when the party is over in the upstairs living area. The other 2 bedrooms and 2 bathrooms with another full kitchen in just up the stairs. If they ever wanted to use the upstairs as a rental, they definitely could. After so many years of this fantastic couple living Anna Maria Life part time, I've never been happier to say... Welcome Home full time islanders! Congrats! You are doing what millions are dreaming of doing. Anna Maria Life- After Irma: "Look For The Helpers"
Photo- Townsend Tree Service- Muncie Indiana. Many Floridians heading north to flee the storm witnessed caravans of trucks just like this one, heading South to rush in and help once the storm passed! These Men and Women left their homes and their families to come and help ours! To all of the helpers, from the bottom of our hearts- Thank you! I'm so happy to report that our little island dodged a chamber full of bullets from Hurricane Irma. We were left with VERY little damage and almost no storm surge. There are lots of trees and power lines down, but for the most part, every one and every thing was spared. The power is still out for many in Manatee and Sarasota Counties, but crews are working around the clock to restore it. The human spirit is such an amazing thing, unbreakable, it will always prevail. I know we will all pull together and help each other! As so many of us drove out of the state of Florida ahead of the storm, we witnessed caravans of Power Trucks, National Guard Humvee, Tree Service vehicles and all kinds of other "helpers" from all over the country getting into position to rush in to the state just as soon as the storm cleared. They left their homes, and their families behind to help ours. I was reminded of the words of Fred Rogers..."Look for the helpers"
Now we need to spread that spirit to Naples, Jacksonville, The Keys, and all the rest of the places now sifting through the mess that IRMA left in her path. EVERYONE will come together to rebuild. We will be the helpers. "Just Watching the world's annihilation"
My friend Lindsey has a son named Aiden who is six ( the same age as Bam.) Lindsey and her boys went to visit family in Indiana during the storm. Just like everyone else who had fled the state, Lindsey was watching the news on her phone constantly for updates on the storm. On the night of the storm, after dinner with cousins, Aiden disappeared with Lindsey's phone. She found him in her cousin's dark laundry room watching the news on her phone. "What are you doing Aiden?" Lindsey asked. Aiden replied "I'm just watching the world's annihilation" It was then that she realized that even though she had told him why they had left home, and that he was safe and everything would be okay, she needed to talk to him more. It isn't always easy to know how to frame something so frightening to a child. I'm sure many of us have Children and Grandchildren who have questions about disasters, after all they can happen to any of us, anywhere! Lindsey found great parent resources at www.fredrogres.org that just might help you start the conversation off right. Looking at the big picture, I feel as if our country needs a little, or A LOT, of additional strength, prosperity and well-being right now. But just when we may think that our country is declining at a rapid pace and there is so much negativity blanketing our land, we see a monumental surge of strength coming together to heal, help and fix everything that needs attention. Thankfully, the fruits of so many people’s laboring gives us the ability to provide. Right now, there are millions and millions of people coming together and laboring to strengthen the well-being of communities affected by hurricane Harvey. They have lost literally all the fruits of their labor. I can’t imagine the frustration and grief that goes along with such an event. My heart breaks for them and all my well wishes pour out to them. We all labor for many reasons: to provide funds for our bills, to give us the ability to take amazing vacations, to fill our lives with beautiful things, to empower our lives and on and on. It’s such an achievement to look at what people all over the country are doing with the fruits of their labor to help those in need. I hope everyone is able to take this holiday and enjoy not only the fruits of their labor, but also to realize how incredible it is to live in a society where people REALLY can do come together in times like these. Happy Labor day to EVERYONE…EVERYWHERE! One of Anna Maria Island's Best! We here at Anna Maria Life firmly suspect that coffee makes the world go round! So you'll often find us camped out at Island Coffee Haus! It's a delicious Anna Maria Island staple for locals and travelers alike! Island Coffee Haus is a family run labor of love, Owned by Bev Lesnick who's love of great coffee was born during her time in the Azores. Like so many islanders, Bev decided to follow her heart to Anna Maria Island, after years in the corporate world, and Island Coffee Haus was born! Her Mother can often be found working right alongside of her. All coffee Haus coffee is Fair Trade and roasted in Spring Hill Florida by Jaguar Coffee Company. The beans are a blend of Mexican, Costa Rican, and Colombian. You'll also find teas, smoothies, delicious baked goods and breakfast treats! Island Coffee Haus the best place to find free WiFi on Anna Maria Island, and with fantastic lattes and lots of islanders to chat with, you'll feel right at home! Like Island Coffee Haus on Facebook! Note: All photos featured in this post are of 408 PINE AVE, ANNA MARIA, Currently listed for Sale! Just click on any photo for more information! Are you thinking of purchasing an investment vacation home on Anna Maria Island? It's an excellent choice, but there are so many choices to make! What are the most important things to look for in an investment home on Anna Maria Island? What do you need to know to insure that your investment pays off? Wonder no more, Anna Maria Life is here to set you up for investment home success! Here are the top 5 things to look for in an Anna Maria Island investment vacation home! The city of Anna Maria is located at the North end of the island. Anna Maria features incredible homes of all sizes, in quiet neighborhoods, and stunning beaches. Anna Maria offers food, shopping, and culture on famous Pine Ave. Exquisite cuisine will be found at The Waterfront Restaurant overlooking the Bay. 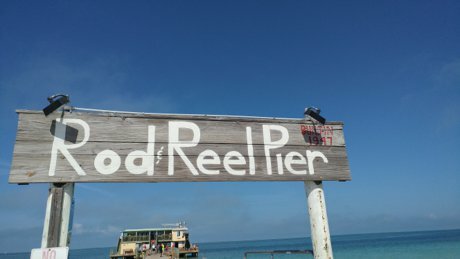 Catch Fish and incredible views from The Anna Maria City Pier or Rod and Reel Pier. Family and fun converge at The Center (Anna Maria's community center,) and at Bayfront park. Anna Maria is always in high demand for vacationers, so you'll find that it is home to many successful investment vacation homes! Holmes Beach is located in the center of Anna Maria Island, and it's here you'll find the Publix grocery store, Pharmacies, Banks, Key's Marina and sugar white sands with unlimited pancakes at The Manatee public beach. It's safe to say that Holmes Beach is epicenter of Anna Maria Island life. Houses in Holmes Beach are large and small, new and old. Holmes beach is home to many of the Island's full time residents as well as some of the islands great vacation investment homes! Bradenton Beach is located at the South end of Anna Maria Island. It's here you'll find Historic Bridge Street's restaurants and shops, The Moose Lodge, and toes in the sand dining at The Beach House Restaurant. Coquinna Beach calls locals and visitors alike to its pine shaded park and pristine beaches. Bradenton Beach is the thinnest part of the island so the beach and the bay are always within walking distance of your Bradenton Beach home! Bradenton Beach has everything from small cottages and condos, to large homes. 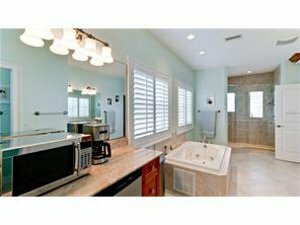 There are some nice investment homes in Bradenton Beach. 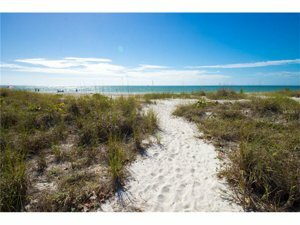 Whether you choose to buy and investment vacation home in Anna Maria, Holmes Beach, or Bradenton Beach, it's the beach that draws vacationers to Anna Maria Island, so it's important to choose an investment home that is within walking distance, or a short golf cart ride to the beach! 2) Few people know this secret: it's often the pool that really rents your home! So a pool is a must! Pools are a big deal to Anna Maria Island visitors, so often, it's the pool that really rents your home! Your pool area should be a lush and inviting tropical oasis! This is the crowning glory of your investment in your investment home, and an incredible pool area will keep your home at the top of the vacationers "Must Rent List!" 3) Whats inside counts: Your investment vacation home's interior. Many choose to purchase a home that's ready to rent right away, while others like to buy something that needs a bit of TLC and really personalize their home, after all they'll be enjoying it for years to come! Either way it's important that the Interior of your investment home be well equipped, clean, classy and beachy. The nicer the better of course! 4) How many bedrooms should an investment Vacation Home on Anna Maria Island Have? 2? 3? 4? 5? I'm often asked how many bedrooms are best in an Investment Vacation home. The answer is that there isn't a hard and fast rule. You should choose an Investment vacation home with the number of bedrooms appropriate for your family and friends who will join you when you come to vacation in your vacation home! 5) There is still so much to know about buying an investment home on Anna Maria Island, Where do I start? Start Here! There is a lot to consider when searching for the right investment vacation home for you and your family! It's imperative that you find a Realtor who understands the local rules, regulations, and zoning laws in regard to vacation rentals. Call Billi Gartman of Anna Maria Life Real Estate, An Island Place Realty, who has years of experience in the vacation rental industry, in addition to helping buyers and sellers in the local Real Estate market. Billi has been living, working and raising her family right here on Anna Maria Island for years, and she has built outstanding relationships with the who's who of Anna Maria Island, to ensure that you are well connected to everything you want and need right from the start. Anyone will tell you that with Billi you will always be treated like family, as she puts your interest first in every way. She's always there ready to go above and beyond, every time you call! Now she'll put her experience, expertise, connections, and dedication to work for you. Guiding you through this rewarding experience, to ensure that you reap the maximum financial and personal benefits possible from your investment home purchase and ownership! Start the conversation today! It's never too soon! Call Billi at 941-545-8877! 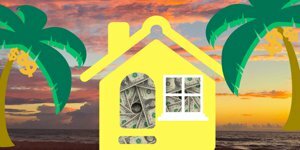 Why Should I Consider An Investment Home on Anna Maria Island? Owning an investment vacation home on Anna Maria Island can be an incredibly rewarding experience, and it's a choice more people should consider, particularly if they find themselves drawn to a particular area time and time again. There are many components to the choice and it's incredibly important to enlist the help of a very knowledgeable and experienced local Real Estate professional to help guide you through the process to insure that your investment reaps the maximum rewards! But what are some of the reasons to consider an investment vacation home? Lets consider a few! an investment vacation Home on Anna Maria Island! 1) You'll have a vacation home in paradise to come to, that other people are helping you pay for! 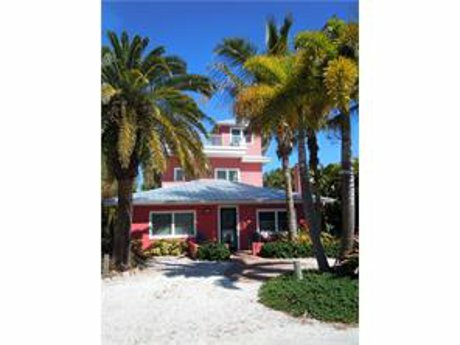 Vacation Rental homes are a hot commodity in highly sought after vacation spots around the country like Anna Maria Island. Many families visit the same place year after year, often renting the same vacation home. Why? Because It feels like home. But the downside to renting someone else's vacation home is that your investing in someone else's investment. Why not turn the tables and let others invest in yours! 2) It feels like home! Your very own vacation home feels just like home... Because it is! This is YOUR place. To set up in a way that serves your families desires, needs and tastes! Your vacation home feels familiar and welcoming. The convenience of being able to keep everything you want and need to have with you while on vacation right there at your vacation home means less packing, unpacking, and stress! 3) This is your family's gathering place. Your investment vacation home becomes your family's gathering place, there whenever you want it. Invite everyone to stay together and play together. It isn't hard to convince friends and loved ones to come and stay with you in paradise! One of the precious wonders of the island are the families that return to the same place, year after year, just like sea turtles, growing with each generation to gather and spend time making memories together away from their busy lives. Your Investment home becomes the place where Parents and Children reconnect, Brothers and Sisters play together again, Aunts and Uncles make memories, and little cousins become best friends. 4) Get a head start on your move, or on retirement! Maybe Anna Maria Island is where you want to be... someday. Buying an investment home in Anna Maria, Holmes Beach or Bradenton Beach now secures your place on the island at present prices, allowing you to start living the Anna Maria Life now as often as you want or can! Then when you're ready to make the move to Island life full itme you already have a home to move in to, or to sell at future rates to buy your ideal retirement home on the island. 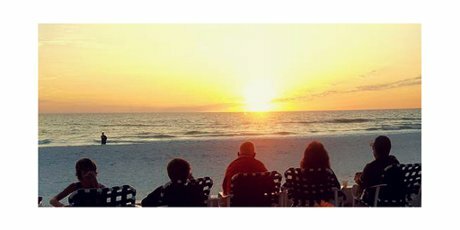 Vacation rental management companies on Anna Maria Island make managing and maintaining a vacation home, while living far away easier than ever. They can take care of booking, customer service, cleaning, and maintenance of your home while you sit back and relax! 1) The flow of tourism to Anna Maria Island is unbelievable and growing all year round. According to the Bradenton area convention and tourist bureau's 2017 Visitor Profile year in Review, the number of tourists to the area has grown by 10.7% over the last 5 years, and the average room rate in the area has gone up 23.57% over the last five years! Home purchase prices on the island continue to rise in Anna Maria, Holmes Beach, and Bradenton Beach, Making now the best time to invest! Anna Maria Island is known for it's beautiful sugar white sand beaches, magnificent sunsets and small town feel, and the word has gotten out! Anna Maria Island was rated Trip Advisors number 3 Island in the United States in 2014, up from number 4 in 2013. In 2014 Anna Maria Island was named one of Conde Nast Travelers Top 30 Islands in the World! The same year Anna Maria Island's Coquina Beach in Bradenton Beach was named as one of the Top 10 Beaches for Families by Condé Nast Traveler Readers! Holmes Beach is every bit as stunning, and Manatee Public Beach has every amenity you could wish for. Anna Maria Island has managed to retain it's quaint old Florida Island charm. You'll find no towering high rises, neon lights, or even a McDonald's on the island! The vast majority of the island's businesses are locally owned Mom and Pop shops and restaurants. You'll find incredibly unique dining at The Beach Bistro and The Waterfront Restaurant. Greet the sun with morning coffee & lattes at The Island Coffee Haus, and find adorable gifts and sweet treats to make you feel like a kid again at The Flip Flop Shop & Candy Shop! The warm Bay and Gulf waters surrounding Anna Maria Island are known for some of the best fishing in the world! You'll find people fishing from the shores or one of the island's piers Egmont Key Adventures offers several lengths and types of fishing charters! The area around Anna Maria Island is also known as a Tarpon fishing Mecca! 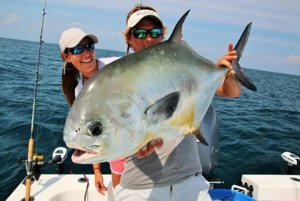 The huge silver fish are a sport fisherman's dream! Just ask Capt. Harrison King of Reel Job Fishing charters! Before purchasing any investment home it is imperative that you find a Realtor with experience in the Vacation Rentals Industry, who knows what rents well and what doesn't. Someone who calls Anna Maria Island home, who has relationships with the who's who of the island to ensure that you are well connected to everything you want and need right from the start. And find someone who will treat you like family, who will put your interest first in every way, who will be there ready to go above and beyond, every time you call! 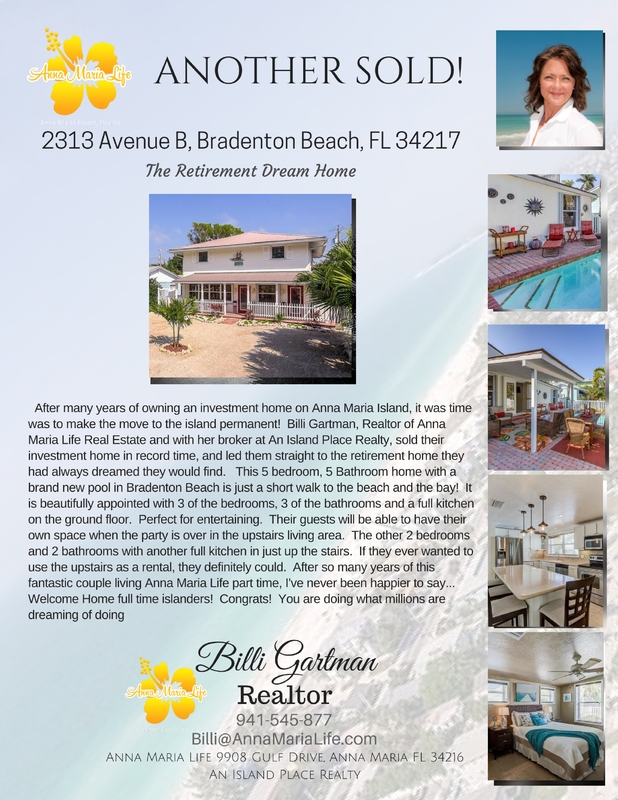 Ask any one of Billi Gartman's many Real Estate clients and you'll hear about her extensive experience in the Anna Maria Island Real Estate market, as well as the Island's vacation rental industry. They'll tell you about her dedication to this community! From the Island Community Center, and Anna Maria Island Elementary School, to her Women's networking group,and longstanding relationships with island business owners, you'll find she is known and respected by everyone on the island. And all of her clients will tell you she began as their Realtor and became just like family, always trusted and relied upon for help, above and beyond professional duty. Now she'll put her experience, expertise, connections, and dedication to work for you. Guiding you through this rewarding experience, to ensure that you reap the maximum financial and personal benefits possible from your investment home purchase and ownership! Start the conversation today! It's never too soon! Contact Billi at 941-545-8877!